Have you ever seen something so spectacular that you couldn’t help but tear up and just believe in the overwhelming presence of the great Creator and just believe that there’s a superior being supervising all of creation? Would you like to see a game that is that glorious? Yes? Then Eloa Online isn’t exactly that. It took the best elements of MMORPG’s, added some of its own, and somehow came up with something that’s mediocre. The graphics in this game are standard at best. It clearly isn’t amazing and it feels like it was even rushed at some points. The environments are standard. The character models are standard except for those alarmingly huge Shrek hands. The rendering of lights and shadows are meh. And the spells look so-so. It’s not ugly. It’s not bad that you’d want your character to use those gigantic Shrek hands to gouge out your eyeballs. It’s standard. It’s blah. It’s doesn’t stand out. The sound in this game feels like a bad mix of loop packs you buy for $20 and voice acting from washed up actors. There’s no real music. The sound effects feel like I’ve heard them from some other game. The voice acting is also nonexistent – or at least close to it. There are no cutscenes that show off dynamic sounds and whatnot buuuuuut for a free to play the game, it’s passable. Just turn it down when it starts to bore through your skull. Okay, to be honest, Eloa doesn’t shine in this aspect either. It’s got some elements that are unique in a way but none that really save it and make me think that this is one game that I’d come back to over and over again. First, it’s got this travel system. Did you get flying animals and portals that take you from any part of the game’s world for a small fee of like.. 7 copper coins? If you keep questing, money shouldn’t be a problem. You can also pull up the overlay map and just click on which part of the town or dungeon you want to go. They also put up the Mount system early on so you could get to ride a golem, a panda, a bear, a mushroom or whatever weird creature this game has. This increases running speed. Basically, you don’t have to hold down movement buttons that much in this game. Second, it’s got this stance thing. Like… if you’re a mage, you could use Fire, Ice, and Wind when you press F1, F2, and F3. And when you’re a sniper, you could switch from Gun to shotgun to bow. It’s a very complicated system and I personally don’t see any advantage in doing it save from getting around those pesky cooldown times. In addition, this also means you need to manage three weapons so good luck with collecting weapons for that, man! Personally, I am not sure if I like this feature but then again, I guess it just requires some getting used to. Third, it’s entirely free to play. You don’t really need to pay for anything save for some inventory spaces and cosmetics. It’s a good F2P marketing model and one that I can get behind. It’s an entirely familiar MMORPG. 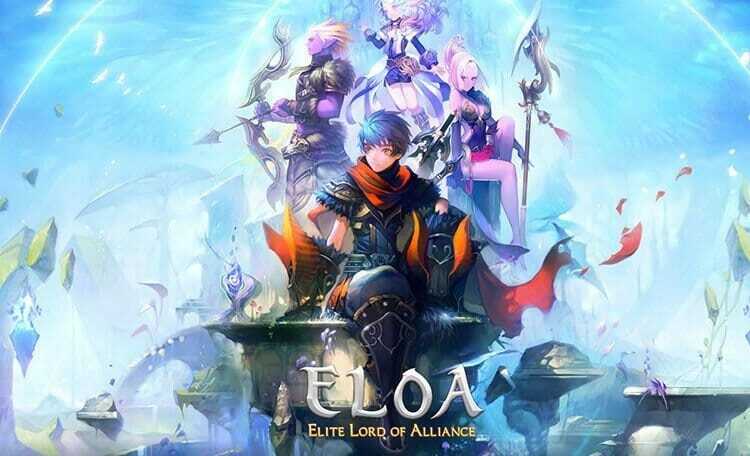 It’s good for people who are new to the genre or who are looking for a good first MMORPG to get addicted to. But if you’re a veteran, it’ll be all too familiar and it might not draw you too much. It seems too familiar and a little lackluster to pull you in – let alone keep you. It’s basically the same game with a different costume. The concepts and ideas and quests here have been washed and worn too many times. It’s tiring.